It is quite difficult to establish a clear-cut cause-and-effect relationship, as the causes are manifold and closely connected. It is simply not correct to link the level of democracy to prosperity. It is absolutely clear that the economic wealth of Saudi Arabia exceeds the performance of the Czech Republic. 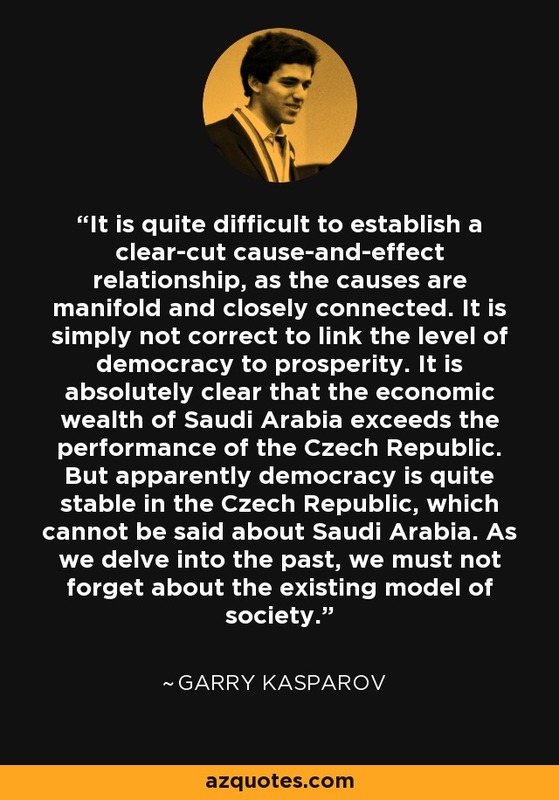 But apparently democracy is quite stable in the Czech Republic, which cannot be said about Saudi Arabia. As we delve into the past, we must not forget about the existing model of society.